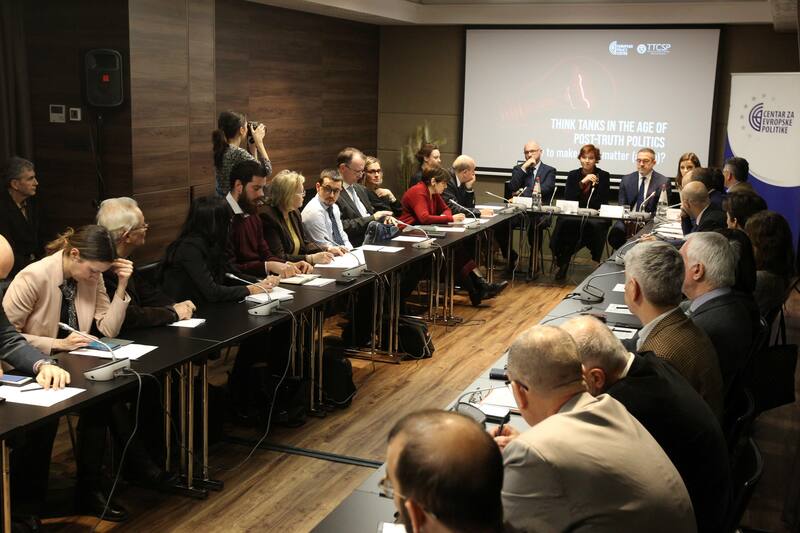 31 January 2019 – The third regular Annual meeting of the Council of the European Policy Centre – CEP was held on Thursday, 31 January in Belgrade. The meeting was attended by the members of the Council, CEP Governing Board, Senior Project Manager, programme managers and researchers. Following the introductory remarks of the Governing Board members, the retrospective of the previous year and an overview of the activities in the programme areas in the previous year were presented by programme managers. They presented projects CEP has worked on in 2018, current projects, and then talked about the future plans and ideas with members of the Council. The Council members include distinguished national and international experts, high-level representatives of the renowned national institutions, academia and international and multi-lateral organisations. Council will be entrusted with an advisory and steering role in shaping the CEP strategic and program framework and providing recommendations for its further development. Simultaneously, the Council should contribute to the further advancement of research methodologies and capacities in the individual programme areas of CEP, as well as support the wider outreach of CEP’s research results among key stakeholders and the public in general. The CEP Council was established in 2017, and its members can be seen here. The EU and the Western Balkans: Making Enlargement a More Credible Process? Romania takes over the Presidency – what prospects for enlargement in a preoccupied Union?